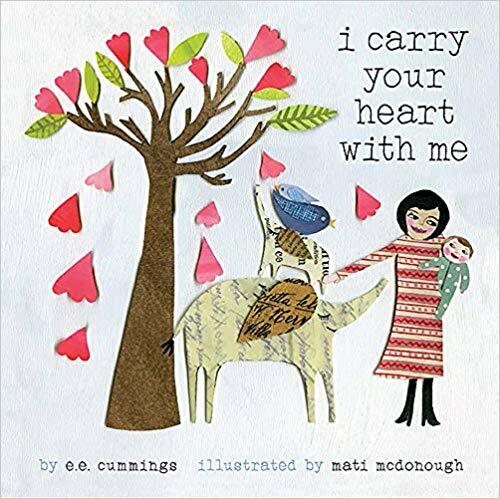 A list of 22 heartwarming Mother’s Day books for kids that celebrate the special love mothers have for their children. This post contains affiliate links. Click here to read my advertising policy. 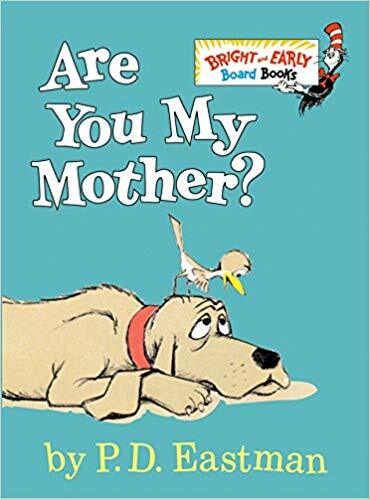 While planning my book rotation for the month of May, I decided to focus on my favorite picture books about mothers to celebrate Mother’s Day. Though these books feature mothers, very few of them are truly seasonal. As a collection, they make a strong statement about the vital role of mothers in our lives. 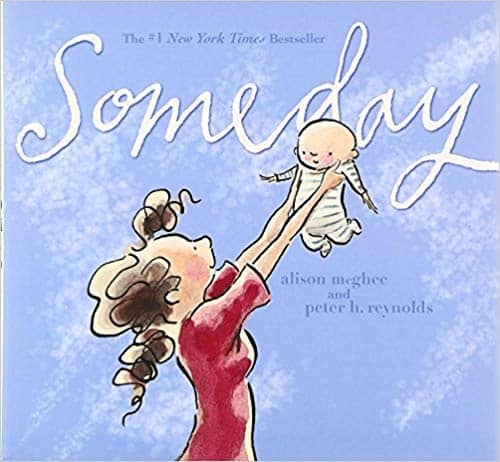 There are some books here that are ideal for mothers to read aloud with their children and others that make a lovely gift from a child to her mother. 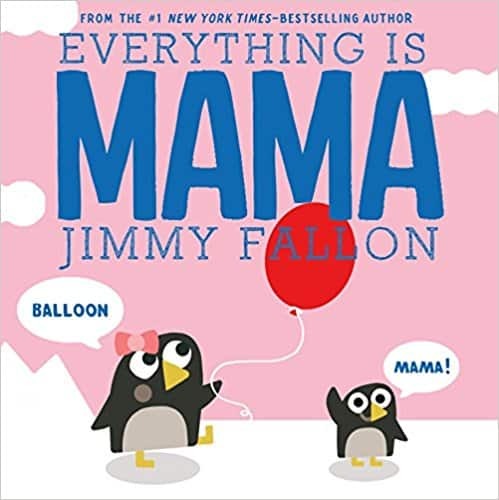 I found funny books about moms (because sometimes parenting requires a good laugh) and many books reiterating a mother’s love for her child. There are classic books about mom you may remember from childhood, and some that entirely new to me, which is always exciting! 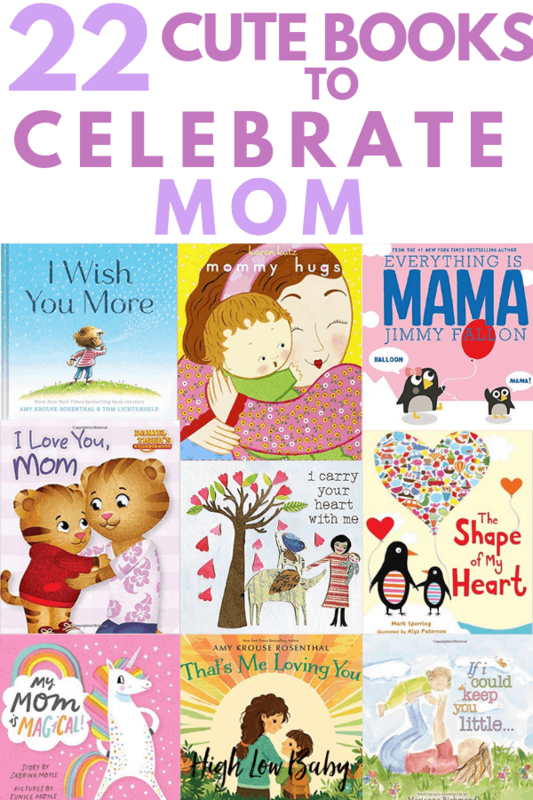 Whip up a batch of blueberry muffins, pick some pretty flowers, and for a simple Mother’s Day gift, wrap up one of these sweet books to tell your mom how much you love her. Or if you’re the mama, collect several to add to your book basket or to display on your seasonal bookshelves. 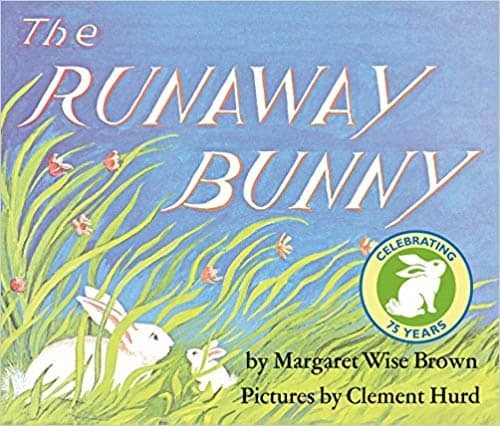 For some of us, there’s something hilariously relatable about this classic book about a determined mother bunny who will do anything to stay near her precious baby bunny. I like to read this one with plenty of sound effects like the wind blowing and circus music on the corresponding pages. A great bedtime story, a fun story for Easter, and absolutely relevant as a children’s book for Mother’s Day. 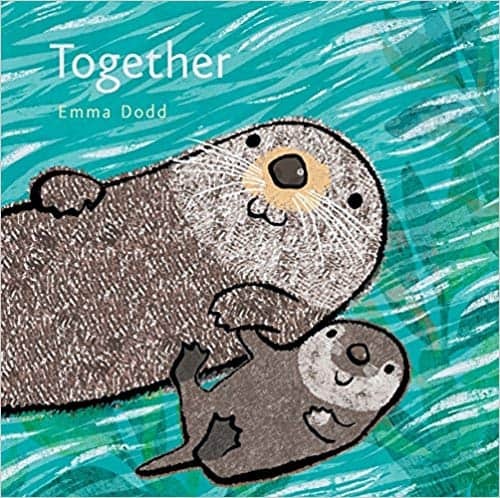 I’m slightly obsessed with Emma Dodd’s work and the first several times I read this book, I could not help but cry. Spend a few minutes floating in the ocean with a ruminative mama otter and her baby– you might cry too. I remember reading this one as a little girl, in disbelief that my mom could ever become old. A classic for those of us who were growing up in the 90s! 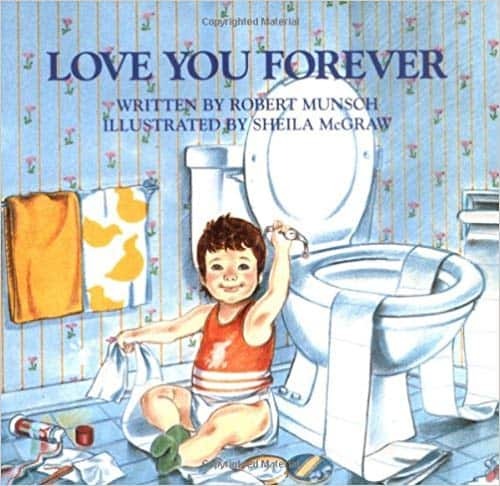 Even if you’ve never read it before, you may recognize this book’s widely beloved refrain: I’ll love you forever, I’ll like you for always, as long as I’m living, my baby you’ll be. This one is especially good if you’re shopping for a mother of little boys. Jimmy Fallon’s follow up to his smash hit, Dada. This is a super fun book to read with babies and toddlers. Mom might laugh too! Sometimes I think Jimmy Fallon would have made a great “Steve” on Blues Clues. “Animal mothers love their babies, just as yours loves you.” Eric Carle dedicated this book to Fred Rogers. 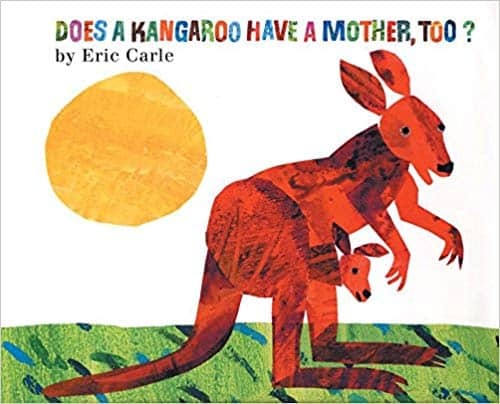 The question at hand, “Does a kangaroo have a mother too?” is exactly the kind of thing you can imagine Mr. Rogers asking his viewers at home. 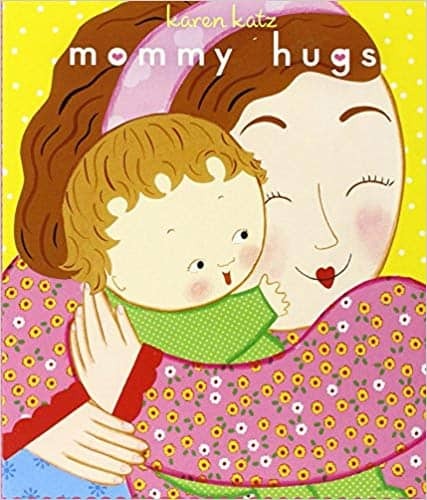 A Karen Katz book perfect for a new mom’s first Mother’s Day or a great new read for the squirmy baby in your family who is currently monopolizing all of the mommy hugs. And for Father’s Day, you can pick up the companion: Daddy Hugs. 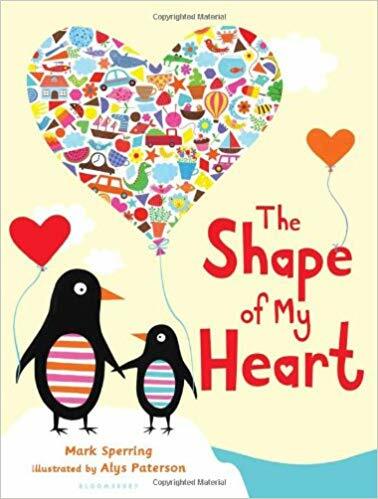 Packed with bright colors, this book gently conveys a mother’s love for her child while teaching toddlers about shapes. So fun to read with a little kid during the whole month of May and beyond. “Then you were my baby, and now you are my child.” A beautiful depiction of a mother’s relationship with her child as she experiences the joys of growing up and growing old. The warm text and simple illustrations leave lots of space for appreciating this book’s sentimental message. Meet poor Mrs. Large who only wants a few moments to herself! Funny and relatable, this selection is perfect for the school-age set. It may even give them a few ideas about mom might really like for Mother’s Day this year. Ha! Do you remember reading this book as a child? 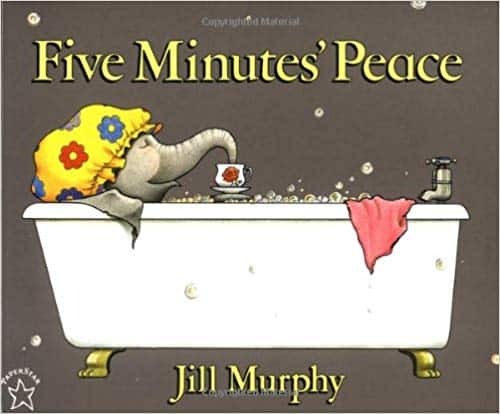 I find this classic goes over super well with preschoolers, who often enjoy this book’s particular kind of humor. A lighthearted and nostalgic read. 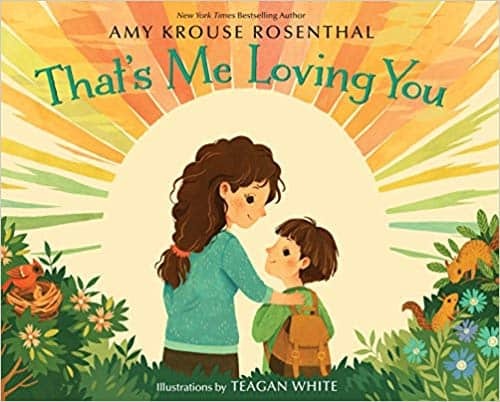 A collaboration between two picture book superstars, Amy Krauss Rosenthal and Teagan White, That’s Me Loving You is another potential tearjerker! 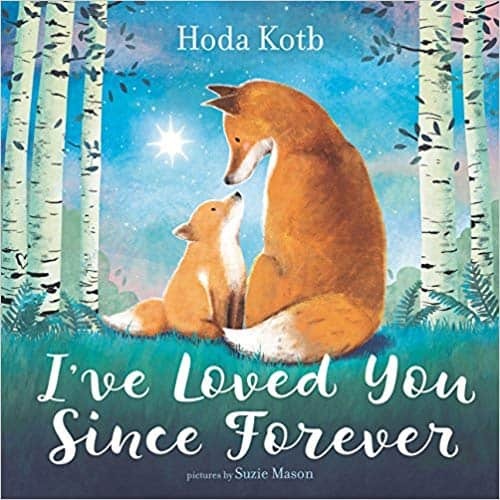 This book is a picture book about a mother’s love that would also fit in beautifully with a Valentine’s Day book collection. It’s message also works perfectly for kids going through a big transition like starting school. Easily one of my top picks. If you like beautiful illustrations of animal families this is a great addition to your library. 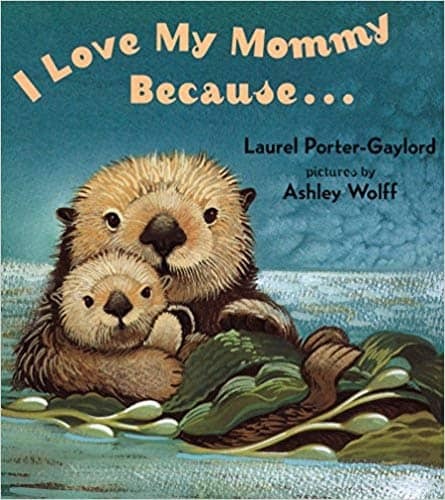 In this book, baby animals and their moms help children celebrate the reasons they love their own moms. Such a sweet gift for mom from a small child. An adaption of the classic e.e. cummings poem, this book will score lots of points with a literary mom. If she was an English major once upon a time or reads novels in the few minutes she has to herself, this is a great bet. 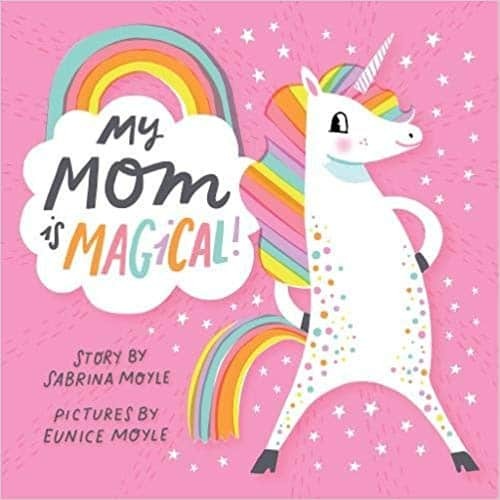 If you or your littles love unicorns My Mom is Magical makes a bright and uplifting Mother’s Day gift. Mom is not only magical, but she’s also sweet, brave, silly, strong, and smart! I’m particularly fond of the illustration of the rainbow-loving unicorn starting in front of inscrutable formulas on an old-fashioned blackboard. As fans of Daniel Tiger know, there are many ways to say I love you. 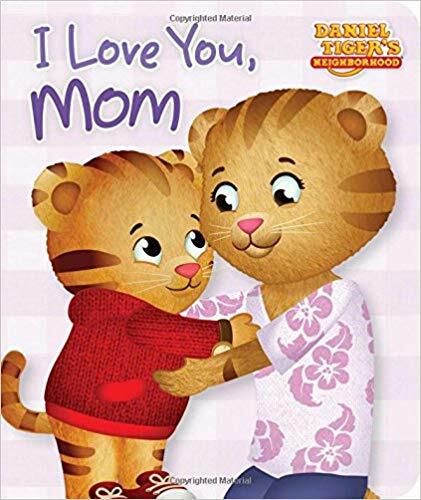 This book illustrates many ways that the Tiger Family share their love. I can’t help but think of the Five Love Languages when I read this book. It’s never too early to teach children different strategies for giving and receiving love. 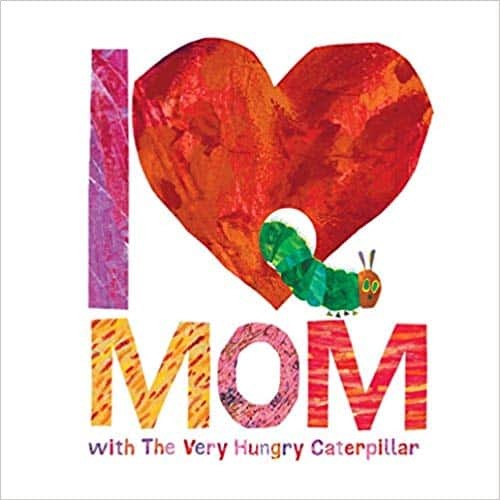 Tell mom how much you love her with the help of everyone’s favorite caterpillar. This small book will be easy for many small children to memorize, so Mom can look forward to hearing her child read it aloud! 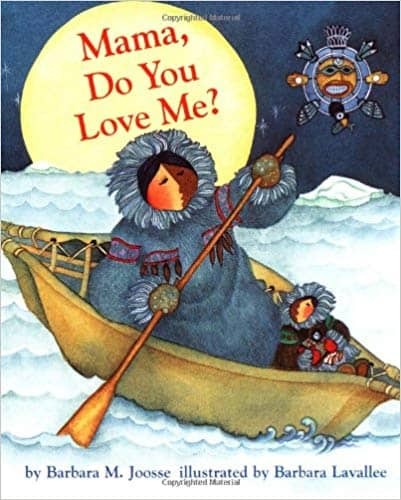 “Mama, do you love me?” This book answers that important question, reassuring children that their mother’s love is unconditional. This book can be a great conversation starter as you help your young child build their emotional vocabulary. 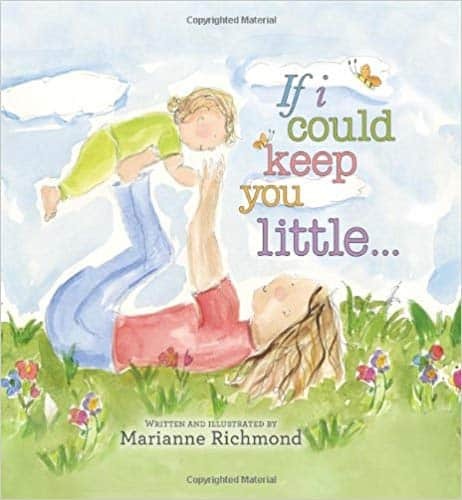 A smart addition to your collection of Mother’s Day books for children and also a poignant baby shower gift. Are you familiar with Natasha Wing’s ‘Night Before’ collection? They’re great to collect for virtually any holiday. I’d especially recommend them for preschoolers who are starting to become more familiar with seasons and the calendar. 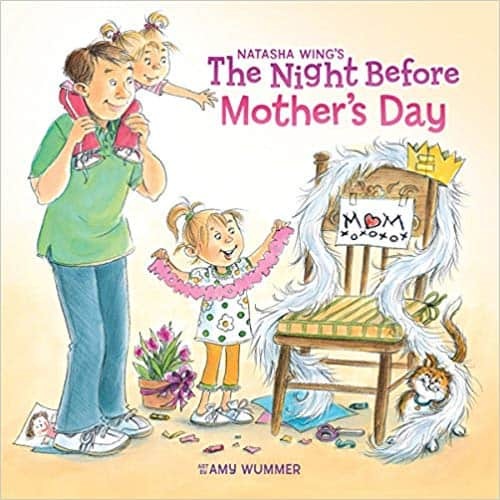 This funny Mother’s Day book can spark lots of ideas of fun things to do for mom around the house to show love and appreciation in simple, inexpensive ways. It’s so comforting to know that a mother’s love is always there, even when Mom isn’t. 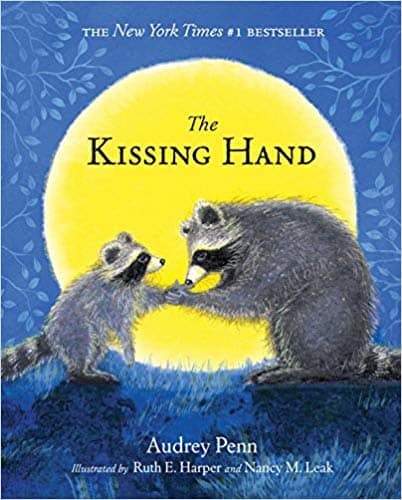 The Kissing Hand is a classic book that helps us teach our children that we will always be there for them, even when we’re apart. I wish you more hugs than ughs! 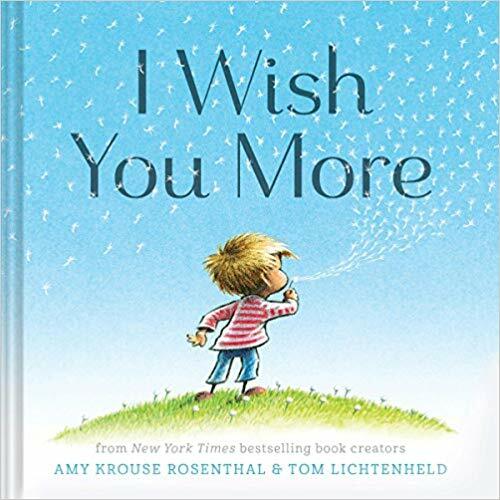 Wish You more is another gem by Amy Krauss Rosenthal. You and your child will enjoy the simple but playful text. My mom definitely wanted to keep her kids little. This book celebrates the phases of motherhood as a parent watches a child grow and gain increasing independence. There’s a tender wistfulness to the text that makes the tone just right for a Mother’s Day book for children. Seasonal books are an important part of our family book rotation and I’m looking forward to displaying many of these books during the month of May. There’s a good mix of funny, silly, reassuring and sweet in this collection. I love so many of the messages and illustrations here. I know you’ll love reading these with your kids too! P.S. To see more of my favorite seasonal books click here!